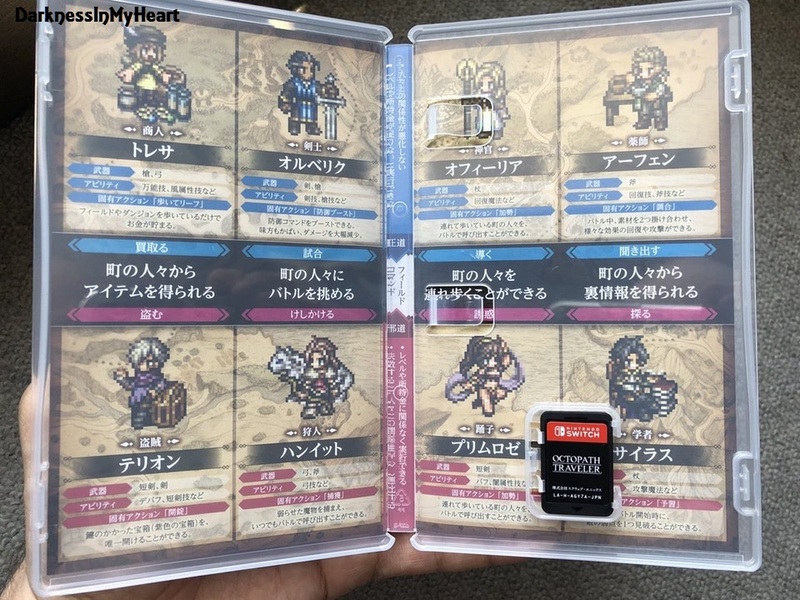 We've seen the NA and EU inside covers for Octopath Traveler. This time we get a look at the Japanese side of things. 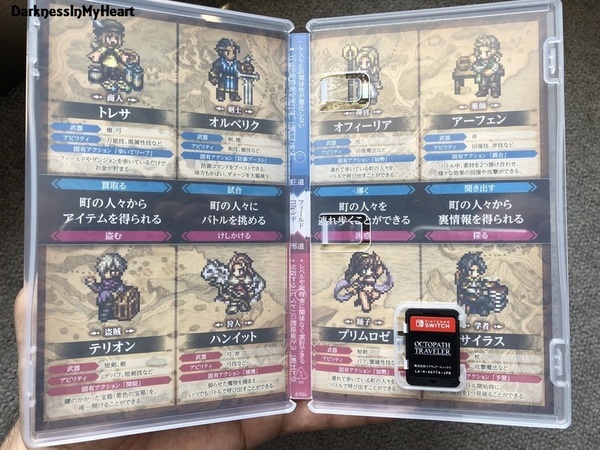 Both NA/EU featured hand-drawn artwork, but the Japanese inside cover goes with sprite work! One of the few times I think the US/EU artwork is better! Although the illustrated artwork is nice, I like the concept of character profiles in the Japan version..